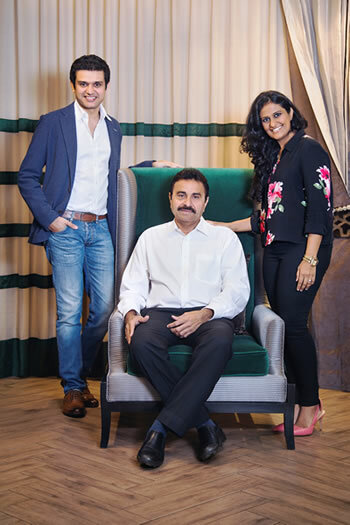 Set up in 1993, Surprise Home Linen has become a landmark store in the city of Mumbai decoding home textile solutions for over two decades. Since its inception the brand’s motto has always been fashion for homes. Mr M. K. Chheda, the Founder Director of Surprise Home Linen, has infused the passion for excellence in the organisation. His managerial and leadership skills have created a brand that is now synonymous with excellence and quality. An MBA in Marketing and International business, Nirav Meswani has been involved in the high-end home textile solutions business for over a decade and has been instrumental in the operational and strategic aspects of Surprise Home Linen. Nirav’s vision of translating international standards to home decor has led to addition of collections from brands like Hugo Boss, Esprit, Portico, Pierre Cardin, Portico, Designers Guild, Casamance, Zimmer Rhode, Christian Lacroix and more to Surprise Home Linen’s repertoire of bed and bath experiences. Recognizing the needs of the interior design fraternity and the discerning buyer and in the effort to recurrently offer to citizen homeowners a variety for their space, Nirav introduced Housewarming. A high end home textiles venture from the house of Surprise Home Linen, Housewarming is a unique service for bespoke tailoring and turnkey textile solutions for homes & interior projects. Nirav continuously aims at identifying international brands and collections that enliven the concept of ‘fashion for homes’. A qualified Interior and Textile Designer, Krupali Meswani has translated her passion for arts and textiles into a landmark brand. As the Creative Director of the two decade old home textile solutions brand Surprise Home Linen, her craft is the culmination of years of experience and design acumen. Creating elegant and sophisticated interiors which blend the classic with the contemporary, Krupali’s aesthetic is reflected in the brand’s merchandise. Being an avid painter, her keen sense of colour adds the vibrancy to the stores collection.